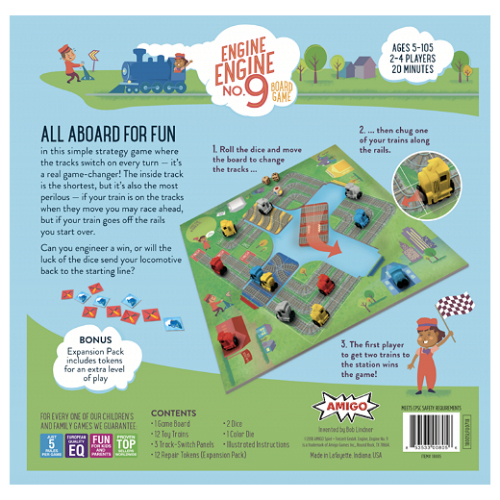 All aboard for fun with Engine Engine No. 9 Game. 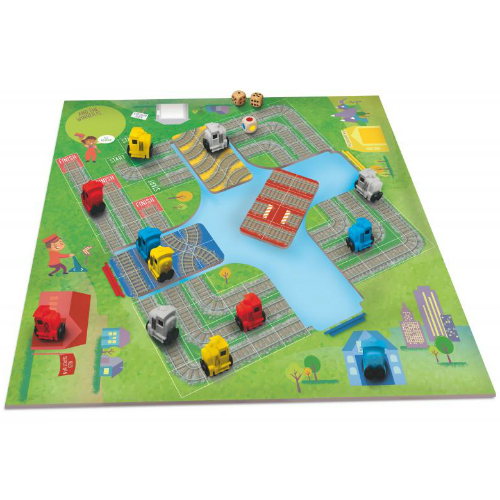 In this simple strategy game, the tracks switch on every turn. It makes every turn a real game changer. Young engineers roll the dice, switch the tracks, and race to get to the station first. Hop on the express train to problem solving, strategic thinking and full-speed-ahead fun. Two levels of play extend the value of the game. Teaches problem-solving, spatial recognition, and strategic thinking. 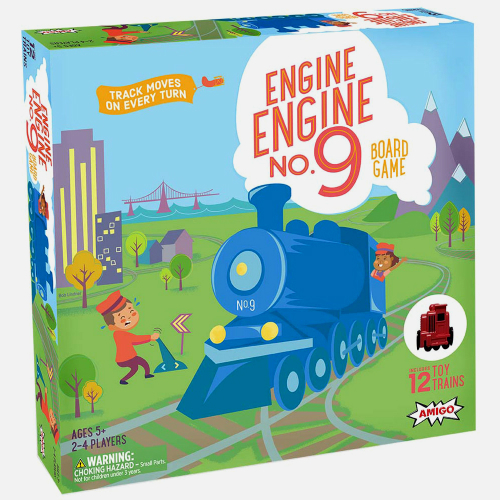 Includes 1 Game Board, 12 Toy Trains. 3 Track-Switch Panels, 1 Color Die, 2 Number Dice, 12 Repair Tokens and instructions. For 2 to 4 players. Game play is approx. 20 minutes. Measures approximately: 11.50 x 11.50 x 3.00 inches..